Faith joined the KWTRP in 1998, a fresh medical graduate interested in clinical training in paediatrics. She attended weekly journal clubs and seminars where she was struck by the limited understanding of how people became immune to malaria. She completed her clinical training before turning her focus to basic science research on understanding how humans acquired immunity against malaria. She became a member of Royal Society of Pediatrics and Child Health (UK) in 2003. She studied human immunity at the University of Liverpool, UK and graduated with distinction in 2004. Her PhD was registered at the Open University, UK. Here, she continued to study the acquired immune response against malaria and graduated in 2008. She obtained her specialist certification in pediatrics from the Kenya Medical and Dentists Practitioners Board in 2009. In 2014 she was appointed Visiting Professor of Malaria Immunology at the University of Oxford, UK. Faith has been supported by competitive fellowships from the Wellcome Trust and the Medical Research Council, UK. She currently holds an MRC/African Research Leader Award, an EDCTP Senior Fellowship and is a co-investigator on several collaborative grants. In 2016 she won the prestigious Sofja Kovalevskaja Award from the Alexander von Humboldt Foundation that enabled her to expand to a new laboratory at the Heidelberg University Hospital in Germany. She has received multiple international awards for her research, including the Royal Society Pfizer Award. 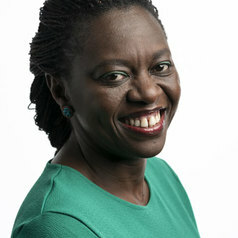 She serves on the several boards at the Wellcome Trust, the Medical Research Council, MVI-PATH among others. She is Vice-President /President elect of the International Union of Immunological Societies (IUIS, over 60,000 members). She also serves as an advisor to the Federation of African Immunological Societies (FAIS), with whom she is actively engaged in capacity building for African scientists.